The 10,000-m² seven-year renovation project was guided by a quest for performance based on taking every opportunity to save and produce energy, as well as a policy of respect for the environment designed to significantly reduce the estate’s carbon footprint. In pursuit of across-the-board energy efficiency, the renovated buildings feature dual insulation which enables them to consume 50% less energy than the average. Water from an Eocene aquifer is pumped at a constant temperature of 15° C from a well 100 metres deep. The heat is recovered in an energy production plant with a heat plate exchanger. Heated or chilled water is circulated in the ceilings or via air-conditioning plants, depending on the building. The system is also used to control the temperature of the barrel halls and stainless steel vats. In order to achieve an energy balance, 1,700 rooftop photovoltaic panels, invisible from the ground, have been installed. 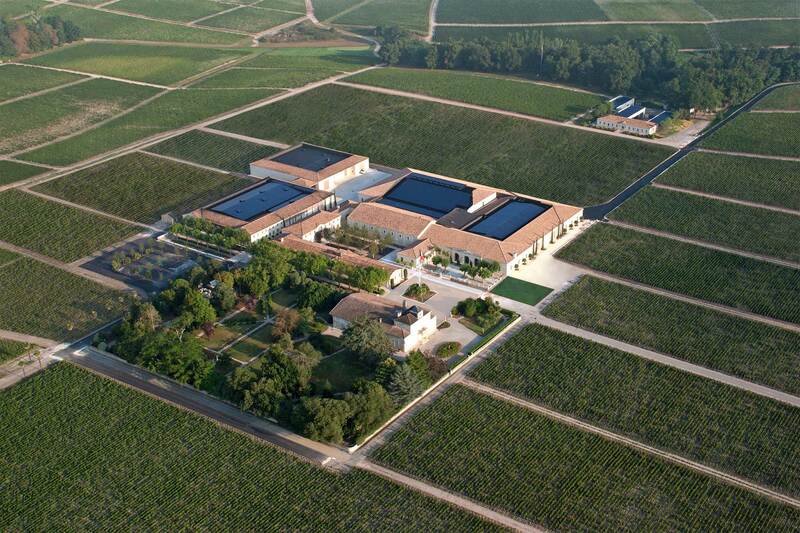 Taking advantage of the Médoc’s generous sunshine, this exceptional feature for a château winery generates enough electricity to meet most of the day-to-day needs of all the buildings.